Also befitting for the village Krkavče, which is also called »mati od ulk« (mother of olives) is the fact that the main brand of the agritourism »Turistična kmetija Robivera« is an organic extra virgin olive oil of higher category, which is obtained directly from olives and solely by mechanical means (cold pressed). The Robivera olive oil has the label of Protected Designation of Origin (PDO) and organic production. To receive the certification the olive oil must be produced in specific conditions, both in terms of work in the olive grove as well as sort mix and oil production. Our standards are higher because organic farming is committed to an external control, which issues a corresponding certificate to the olive oil producer while respecting the rules. All our olive groves are located in Krkavče, covering 3.5 hectares. Of these, we have: 80% of the indigenous Istrian species Istrian Belica, 10% Leccino and 10% Maurino. The soil in Krkavče consists primarily of flysch soil, which is characterized by alternating layers of different sedimentary rock. The favorable climatic conditions and soil composition are of utmost importance for olive growing, which in Krkavče, the only place to produce more olive oil than wine, it is very well developed. 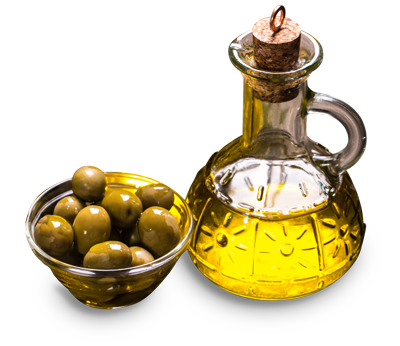 What is the difference between extra virgin olive oil and virgin olive oil? How do we recognize good oil? All this and even more you will learn it during our special olive oil tastings.